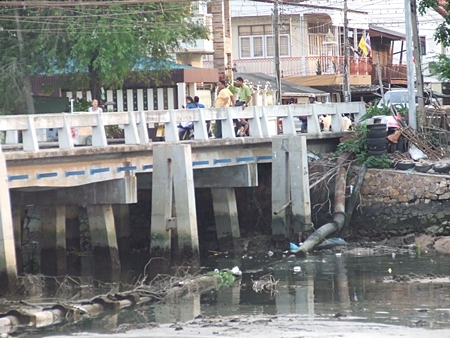 The scene at the Naklua Bridge was not one public officials want on a Pattaya postcard. Black water, an acrid odor and a beach strewn with garbage is what visitors to the area were treated to Feb. 13, instead of white sand, aquamarine seas and a warm breeze. The scene over the side of Naklua Bridge. 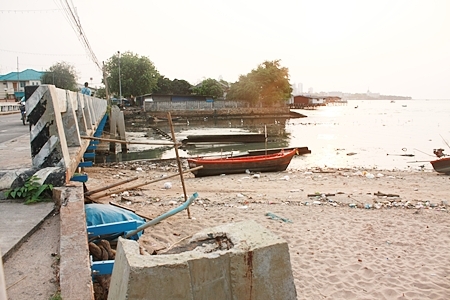 Sadly, too many beaches of Pattaya are beginning to resemble trash dumps. 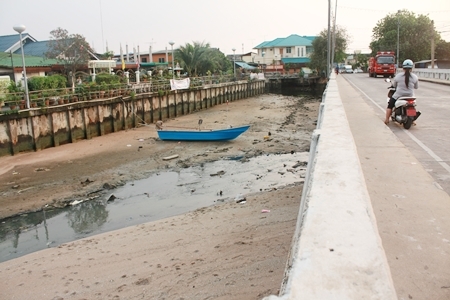 Internet travel forums are rife with descriptions of Pattaya’s seashore as being “filthy” and city officials, despite their many public pontifications, seem to give little more than lip service to beautifying the area’s top tourist attraction. 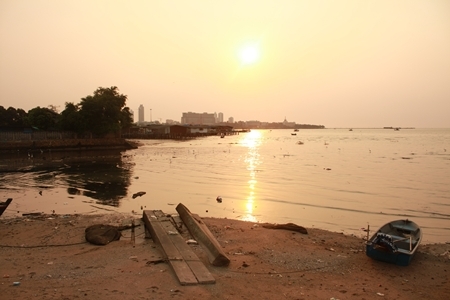 The pollution, of course, also poses health risks to nearby residents. It’s time for the city to take its ecological responsibilities seriously and for residents to realize they too have a responsibility to keep their neighborhoods and nearby beaches clean.